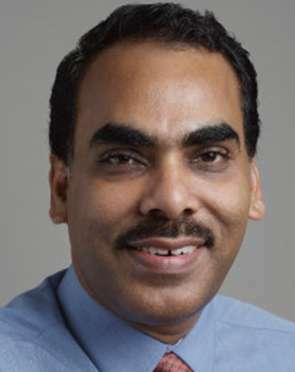 Dr. Joby Augustine is Consultant- Gastroenterology, with over 4 years of experience in treating gastrointestinal and liver problems. 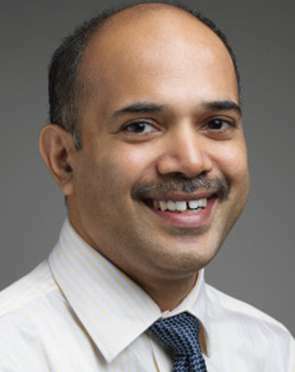 He specialises in Gastroenterology and Hepatology; and has special interest in Luminal Gastroenterology, drug induced liver diseases, chronic pancreatitis, advanced Endoscopy and Manometry. He is former Assistant Professor at CMC, Vellore. 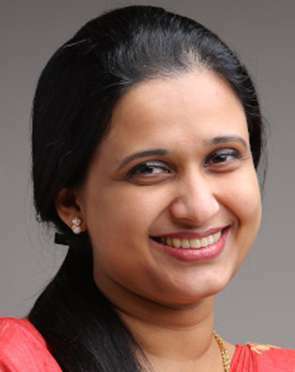 A Gynaecologist with more than 5 years of experience, Dr. Teena Anne Joy is trained to perform all procedures in obstetrics and gynaecology, including open surgeries and minimal access surgeries like hysteroscopy and laparoscopy. With extensive experience in gynaecologic and obstetric ultrasonography, she is also trained in infertility management. Her areas of interest are laparoscopic surgery and management of high-risk pregnancies. 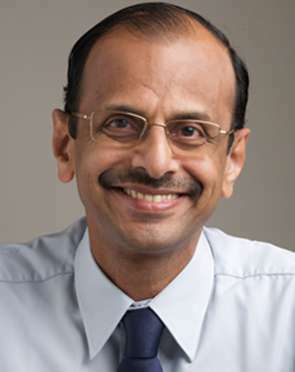 Dr. V. Narayanan Unni is Senior Consultant, Nephrology, CoE Nephrology and Urology. 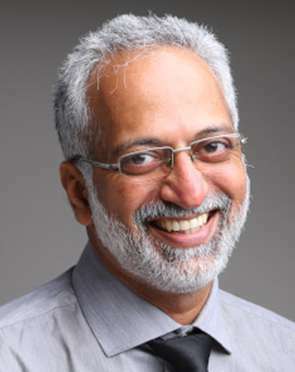 Rated among the best Nephrologists, he has more than 28 years of experience in treating patients of all ages with kidney diseases An expert in hypertension and kidney transplantation and his area of special interest is hemodialysis. Former Professor and Head of Nephrology, AIMS, Kochi and key opinion leader in kidney transplantation of the International Transplantation Society, he is also the Chief of Medical Services (CMS) of Aster Medcity. A Cardiac Surgeon, Dr. Viju Joseph Abraham is trained to perform cardiac, thoracic and vascular surgeries in adults and children. 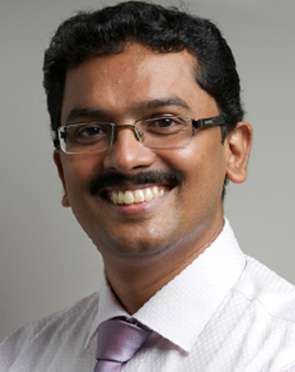 Dr. V A Iyoob is Consultant, CoE Gastroenterology and Hepatology. A Gastrointestinal and Hepato Bilary Surgeon who can perform unique and highly complicated surgeries, he is an expert in both conventional and minimal access (Laparoscopic) surgeries. . 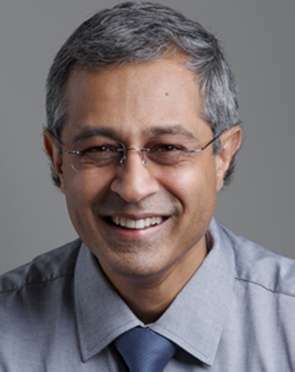 Highly skilled in scar-less esophageal resections for cancer of esophagus and Gastro-esophageal junction, he specialises in Minimally Invasive Esophagectomy (Laparoscopic, Thoracoscopic), Esophageal replacement, Hilar Cholangio Carcinoma, Pancreatic and Periampullary Cancers, and Chronic Pancreatitis. 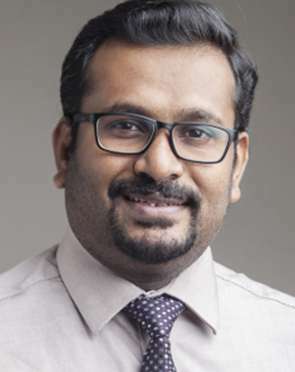 Dr Prasad Krishnan, Consultant, CoE Gastroenterology and Hepatology, is a Surgical Gastroenterologist with more than 5 years experience. Highly skilled in complex GI Surgery, Obesity Surgery, Pancreatic Surgery and GI Oncology, his areas of special interest are Minimal access surgery, Robotics and advanced Gastrointestinal surgeries. 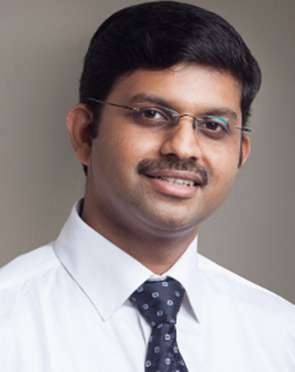 He is former Assistant Professor, Department of Gastrointestinal Surgery, AIMS, Kochi. 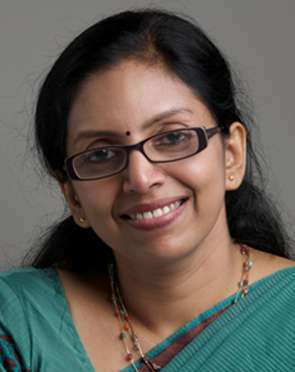 Dr. S. Mayadevi Kurup is Senior Consultant, CoE Womens Health. A Gynaecologist with more than 20 years of experience, she was trained in comprehensive Gynaecological and Obstetric care at the finest hospitals in the United Kingdom. An expert in crucial specialty areas like High-risk Obstetrics, Maternal Medicine, Gynaec Oncology and Critical Care in OBG, she is also a highly skilled Robotic Surgeon who can handle even the most complex cases, including Gynaec emergencies. treatment in Kochi can be availed at highly affordable cost, as compared to the rest of the medically advanced countries and cities in the world. The best hospitals in Kochi are equipped with all the modern and world-class facilities, medical technology and equipments used to deliver quality treatment to patients from around the world. In addition, the best doctors in Kochi hold a great expertise in handling all kind of emergencies and complications related to the medical condition. 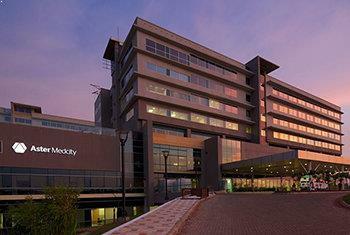 A combination of all these factors make Kochi a popular destination for medical tourism. cost in Kochi is one of the biggest reasons why thousands of medical tourists decide to seek medical treatment in top hospitals in Kochi. The cost of in Kochi is just a fraction of what it costs in other medically-advanced countries and cities. The availability of quality medical treatment, latest technology, advanced machinery and equipment at nominal cost is something that attracts thousands of medical tourists from around the world each year to Kochi. Moreover, the affordable treatment is provided by highly experienced doctors in Kochi, who not only help cater to the medical needs of the patients, but also understand any need for surgical intervention.